FFRF, a national church/state watchdog, is calling on the IRS to immediately investigate a Texas church’s illegal campaign meddling. “There is no question that this endorsement of the Republican Party, aimed specifically at the 2018 midterm elections (now less than two months away), was done by senior church leaders, during a formal church service, in their capacity as church leaders,” writes FFRF Legal Director Rebecca Markert. 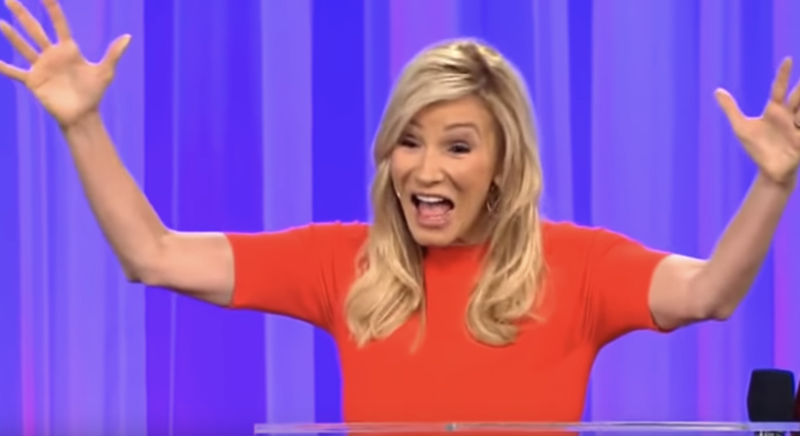 FFRF is also sending a copy of this letter to Paula White and hopes that she will recognize her mistake and stop encouraging churches to violate federal law. The mistake could be the result of the dinner party Trump hosted for evangelical leaders, including White, in August. Trump lied to the group, saying that he had repealed the Johnson Amendment. “Now, one of the things I’m most proud of is getting rid of the Johnson Amendment … In the last 18 months alone, we have stopped the Johnson Amendment from interfering with your First Amendment rights,” Trump deceitfully said at the dinner. He also claimed that he had repealed the Johnson Amendment in a 2017 “religious liberty” executive order. In actuality, FFRF sued Trump over that 2017 executive order, and the Department of Justice admitted in court filings twice that Trump’s order did not and could not repeal a congressional statute. “The order does not exempt religious organizations from the restrictions on political campaign activity applicable to all tax-exempt organizations,” Trump’s lawyers conceded. FFRF dismissed its lawsuit against Trump after his own attorneys admitted that he lied. FFRF is requesting that the IRS commence an immediate investigation into these violations. The IRS does not make the results of any such investigation public. The Freedom From Religion Foundation is a national organization with more than 32,000 members across the country, including 1,300-plus members in Texas. FFRF’s purposes are to protect the constitutional principle of separation between church and state, and to educate the public on matters relating to nontheism.